Approximately two out of every three drivers in the United States will be involved in a motor vehicle accident during some time in their life according to a report from the National Highway Traffic Safety Administration (NHTSA). Even worse, a variety of additional reports indicate that a driver in Arizona should expect to be involved in a traffic crash every 10 years. While traffic accidents are certainly likely, those involving large trucks are typically far more severe. Armored trucks are typically used to transport valuable items such as large amounts of cash for companies (banks and retail stores for example) and are designed to withstand robbery attempts. Any impact with these vehicles presents great danger for the other motorists involved due to the size and weight of these trucks. As such, all Arizona drivers must exercise caution to avoid armored truck accidents at all times. Phillips Law Group has extensive experience in Arizona truck law and commercial vehicle litigation. When it comes to armored truck accidents, hiring an experienced, knowledgeable attorney is essential. Truck crashes involve a variety of specific laws regarding trucks and the various regulations in which they must adhere to. Therefore, it is essential to speak with a legal professional. If you or a loved one has been injured in an armored truck accident in Arizona, Phillips Law Group is prepared to take on your case today. To learn more about your legal options, complete a Free Case Review form on this page. Standard armored trucks can weigh up to 55,000 pounds. In contrast, the average passenger vehicle weights about 4,000 pounds. As such, any type of collision between two vehicles with such a significant variance in weight can be deadly. With a number of potentially devastating injuries in these types of accidents, all Arizona motorists must be extremely cautious while traveling in close proximity to armored trucks. Accidents victims must seek medical attention following any crash. Seeking medical care after collisions involving large trucks, however, are even more crucial. The severity of these crashes tends to be far more significant than that of a typical auto accident. Even worse, many injuries involved in truck accidents take several days to appear. Therefore, any passenger occupant involved in a motor vehicle collision must seek medical attention as soon as possible. Establishing liability in any auto accident can be difficult; however, truck accident liability tends to be far more complex due to the special laws regarding these vehicles. Armored trucks are owned and operated by corporations and, as such, these corporations are held responsible for employing the drivers of these trucks. Based upon the specific circumstances in the accident, it is possible that the company will be held liable for the damages involved in the crash. Negligent employment is another form of potential liability in armored truck accidents. In cases where the company knowingly hired an unqualified driver, a driver with a bad driving record, or a driver with a history of reckless driving behavior, the truck company will be held accountable for the crash. In addition, in situations where the truck itself was not kept in quality condition, the truck company may be held liable. Any commercial vehicles are required to undergo some form of inspections to make sure that the equipment has no defects. Because the bullet proof material used in armored trucks makes the vehicle heavier, safety precautions must be taken to account for additional weight, longer stoppage time, variance in turning, etc. Those who neglect to do so may be held liable for any injuries and damages caused by the crash. 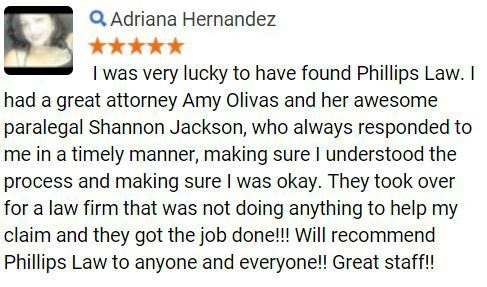 If you or a loved one has been involved in a truck collision, Phillips Law Group is here to help. 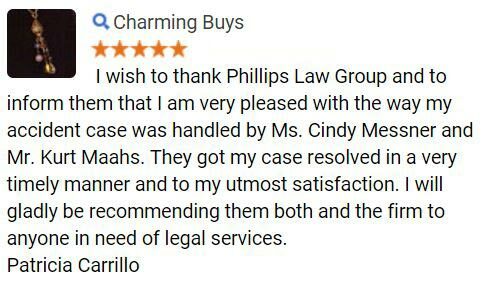 With our main office headquarters in Phoenix, AZ, Phillips Law Group has been providing professional legal services to Arizona residents for many, many years. During this time we have gotten to know many of those who live all around Arizona, making us feel a special connection to these people. As such, we believe that it is our duty to protect the rights of all Arizona drivers. Phillips Law Group believes that when the negligence of another driver causes injury or harm to you and your loved ones, this at-fault party must pay for the careless actions. 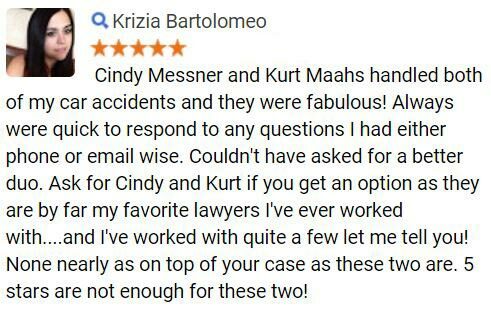 Therefore, our Phoenix injury lawyers work diligently to craft a case which wins the maximum compensation possible for our clients. If you or a loved one has suffered injury due to an armored truck crash, you may be entitled to compensation for your losses. 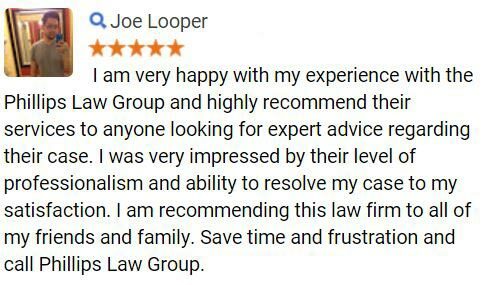 Complete a Free Case Review form to learn more today.